“Wine is one of the most civilized things in the world,” according to Ernest Hemingway. Wine offers a great range of enjoyment and pleasure. 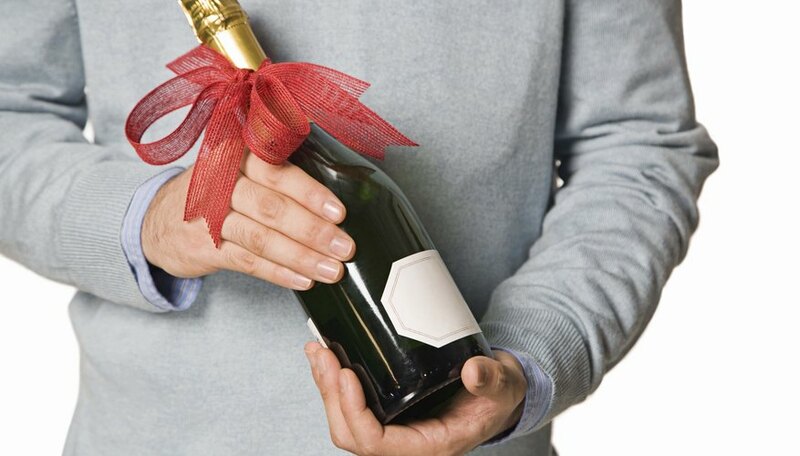 Sharing your love of wine as a gift to others can be made more special by personalizing the wine label. Remove the label from a standard wine bottle by soaking it in warm, sudsy water and using rubbing alcohol or a commercial remover to eliminate the sticky residue. Make sure your bottle is clean and dry before putting on the new label or it will rip or bubble. Navigate to one of several Better Homes and Gardens wine label designs and click through thumbnails of the labels by clicking the left and right arrows. Click “Download the Free Label” link when you find the label you want to personalize. You need Adobe Acrobat to edit the template. You will need to sign up for a free Better Homes and Garden account to have access to the labels by typing in your name and email address. Click “Continue” to finish registering. Click “Download Now” to get the template. Click “Sign” to make changes to the wine label template. Click on “Add Text” or “Place Signature” to add your personal touch to the label. You can choose the font style and size, but you cannot make changes to the design of the label. Click “Sign” when you are done personalizing your label. Click the “Print File” button to start printing out the label. You can use plain or self-adhesive paper. Click “Properties” in your printer dialog box and select the highest printer dots per inch (DPI) your printer allows, then click “OK.” Click “Print” to print out the label. Cut out the label out using scissors or a craft knife. Glue or tape the label to your clean wine bottle. Navigate to Magical Kingdom wine label designs and click one of the labels to personalize. Click “Label” again to bring up the template in Adobe Acrobat. Click on the text to personalize the message. You cannot make changes to the copyright information or the design. Click “File” and “Print” when you are done personalizing the label. Click “Preferences” in your printer dialog box and select the highest resolution your printer allows, and then click "OK."
Click “Print” to print the label. Cut out the label and affix to your wine bottle using glue or double-sided tape. Point your Web browser to one of Martha Stewart Weddings wine label designs. Click the “Open Our PDF File” or “Download Our PDF” link to open the PDF file in your viewer. Click on “Highlight Existing Fields” in the PDF file. The fields you can change are highlighted. Click in the highlighted fields and type in your personalized message. You cannot make changes to the colors of the template. Click on “Highlight Existing Fields” again when you are done personalizing. Click “Print” to print the labels. Cut out the label and affix to the clean wine bottle with glue or double-sided tape.